Yes. McRyan is a neat guy and a good cop. The story lines are interesting and believable. Which character – as performed by Johnny Peppers – was your favorite? 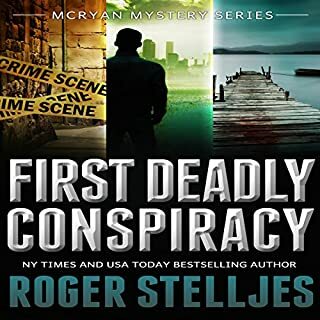 Roger Stelljes is a good author. 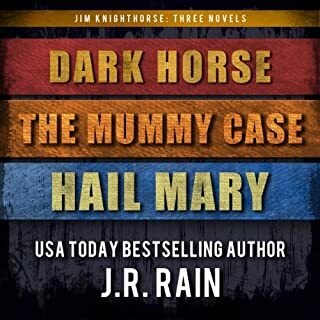 A set of three #1 bestselling mystery novels featuring private investigator, Jim Knighthorse. It includes Dark Horse, The Mummy Case, and Hail Mary. Where does Jim Knighthorse Anthology rank among all the audiobooks you’ve listened to so far? I gave it four stars. Jim Knightbhorse is a neat guy and I wish I could meet someone like him except for the drinking part. I enjoyed this series. It was positive; the good guys won. There may have been a touch of improbability, but that did not distract from my enjoyment. The Burning Man. It’s the name the media has given a brutal murderer who has beaten four young women to death before setting their bodies ablaze in secluded areas of London’s parks. And now there’s a fifth.Maeve Kerrigan is an ambitious detective constable, keen to make her mark on the murder task force. 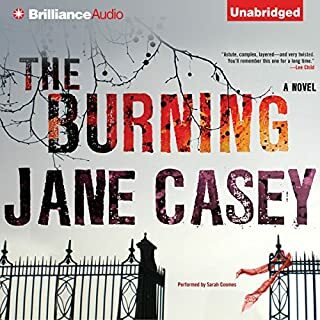 Her male colleagues believe Maeve’s empathy clouds her judgment, but the more she learns about the latest victim, Rebecca Haworth, the more determined Maeve becomes to find the killer. Yes. The book is long but it is never not interesting. I liked the characters. Not totally. I figured out early on who it was (I have a knack for this) but what was interesting was the detail and how the crime was solved. Have you listened to any of Sarah Coomes’s other performances before? How does this one compare? I definitely will listen to more of this author's books. White Nights is MP3 format on Audiobay! 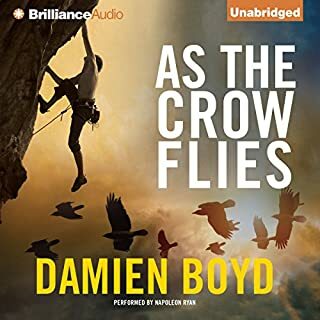 Where does As the Crow Flies rank among all the audiobooks you’ve listened to so far? What was one of the most memorable moments of As the Crow Flies? I knew who the bad guy was early on. Not because it was given away or obvious but because I am good at sensing these things. He is OK but I am not crazy about some of the voices. He was just a very steadily interesting book. Found White Nights on Audiobook Bay. Haven't tried that site yet. Little is what it seems to be in a leafy Savannah neighborhood as members of an afternoon cocktail and dog walking club mourn a neighbor’s death. Jealousies surface when friends vie for the widower running for mayor. An old woman with an infamous uncle plots to avenge a wrong. Memories haunt a once successful children’s writer. And a model has won the trip of a lifetime. But a killer lurks and secrets unfold, as does a web of deceit. Is anyone really who he or she seems to be? Could not finish the book! Quite possibly all of the many, many threads of this story tie together in the end, but it was not worth the journey. I also felt that the women were pretty shallow which I did not appreciate. Bit of a chauvinist, are we? What three words best describe David de Vries’s performance? I don't have three words but his performance is probably the best thing about this book. 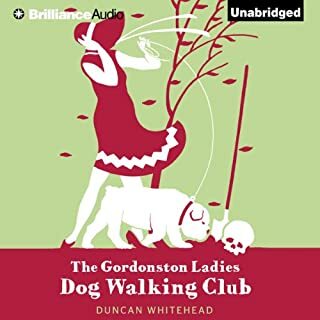 If you could play editor, what scene or scenes would you have cut from The Gordonston Ladies Dog Walking Club? The author needs to start all over again and give the women, since there are so many of them featured, some depth instead of portraying all of them as man hungry, back stabbing, all about beauty, women. 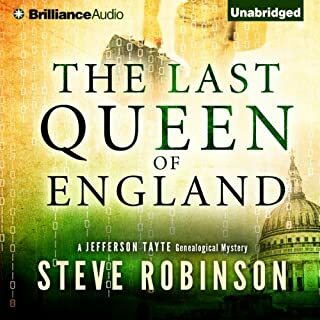 While on a visit to London, American genealogist Jefferson Tayte’s old friend and colleague dies in his arms. Before long, Tayte and a truth-seeking historian, Professor Jean Summer, find themselves following a corpse-ridden trail that takes them to the Royal Society of London, circa 1708. What made the experience of listening to The Last Queen of England the most enjoyable? This is the third in this series. I keep hoping that Jefferson Tayte grows a pair. The story line is very good but his wimpiness is getting very, very annoying. I don't understand why, as Jefferson Tayte is an American, why they use an English narrator. Would you try another book from Traci Tyne Hilton and/or Misty of Echoing Praise? 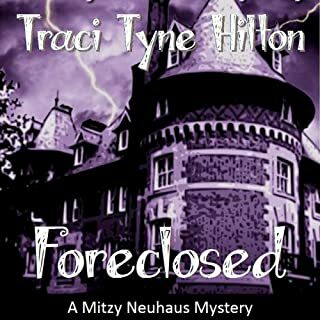 What could Traci Tyne Hilton have done to make this a more enjoyable book for you? I couldn't even get halfway through the book. I am a Christian, but I personally don't want to listen to a book that mentions God and Christ in every paragraph. What didn’t you like about Misty of Echoing Praise’s performance? I didn't like the recording with all the background noise - cars honking, phones ringing, etc. With the help of a quirky friend - and some unconventional branding - Corinna launches her own business: an elite cleaning service for the wealthy. And business is booming…until the day she finds a dead man in the house of a new client. As usual, Corinna’s instinct is to clean up, but body disposal isn’t easy, especially when you’re juggling work, friendships, media attention, and a nasty flu. For Corinna, things are about to get real messy. Fun and entertaining but far fetched. I couldn't even finish the book. Unbelievably incompetent woman. When it got to the part where she decided to move a dead body because it wouldn't look good for her cleaning business, I had to quit listening. The only good thing about this book is that, although set in Germany, I didn't have to suffer through someone attempting to read with a German accent. 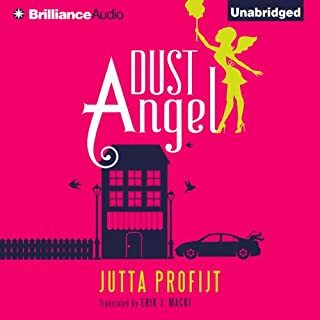 Would you ever listen to anything by Jutta Profijt again?